Paris: Australia's hopes of reaching a first Davis Cup final in 14 years were shattered on Sunday when Belgium fought back from an overnight deficit to win their semi-final 3-2 and set-up a title showdown with neighbours France. 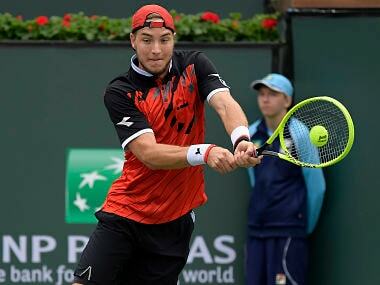 Steve Darcis, the 33-year-old World No 77, held his nerve in the deciding rubber in Brussels, coasting to a 6-4, 7-5, 6-2 victory over Jordan Thompson, a last-minute call-up by Australia skipper Lleyton Hewitt to replace John Millman. 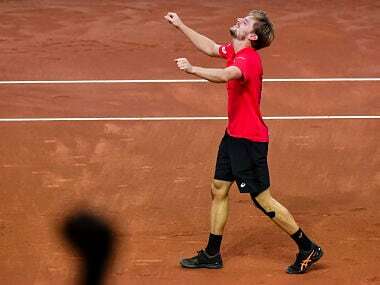 David Goffin had levelled the semi-final earlier Sunday by coming back to defeat Nick Kyrgios 6-7 (4/7), 6-4, 6-4, 6-4, claiming his 15th win in 16 Davis Cup singles rubbers. Nine-time champions France made the final by seeing off Serbia 3-1 in Lille and will host the Belgians in the 24-26 November championship match. Darcis won his 22nd Davis Cup tie but Goffin laid the foundation by winning both of his singles matches against Australia who claimed the last of their 28 titles back in 2003. "When David Goffin plays like that, he's one of the best in the world," said Kyrgios, whose own record in the tournament now stands at seven wins and two losses. "I can always do better, but he was simply too good today." Goffin admitted he was in peak form, firing 20 aces and 39 winners past Kyrgios. 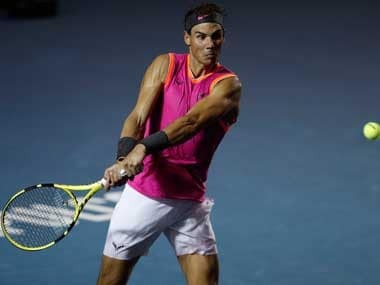 "This was probably my best ever Davis Cup match," said the World No 12. "It was also the best match I have served in my career." Jo-Wilfried Tsonga fought back from a set down against Dusan Lajovic to lead France into the final. Lajovic had stunned Lucas Pouille in the opening match on Friday and he eased to the opening set, only for Tsonga to find his rhythm and eventually cruise to a 2-6, 6-2, 7-6 (7/5), 6-2 win. "It was a joy to finish it on the third singles, for me, for the team and for all the people who came to support us," said Tsonga. "There were more than 18,000 people, it shows us that there is a craze for tennis in France." In the play-offs, where the winners will feature in the World Group next season, 2016 champions Argentina suffered the embarrassment of being relegated to the zonal groups after a 3-2 defeat to Kazakhstan in Astana. Switzerland, the 2014 winners, edged Belarus 3-2 in Biel despite the absence of Roger Federer and injured Stan Wawrinka. 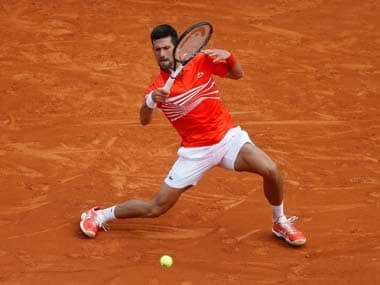 Boris Becker's first outing as head of tennis with Germany ended with a 3-2 win over Portugal in Lisbon while the Netherlands overturned an overnight 1-2 deficit to beat 2012 and 2013 champions Czech Republic to win 3-2 in The Hague. It is the first time in 11 years that the Czechs have lost their World Group status. Hungary stunned Russia 3-1 in Budapest while 2005 champions Croatia, who were runners-up last year, also stay in the World Group with a 4-1 win against Colombia in Bogota. Rising star Denis Shapovalov, 18, led Canada to victory over India in Edmonton thanks to a 6-3, 7-6 (7/1), 6-3 win over Ramkumar Ramanathan. Japan's tie at home to Brazil in Osaka was washed out for the second successive day and will be completed on Monday.